They do not call dogs man’s best friend for nothing. They are important members of the family and people like to take their furry friends with them everywhere these days. Running events are no exception. So why not put on an event that caters to 45% of the households that have at least one of the 78 million dogs in this country! You may be thinking, "Get a couple of hundred people together in one place with their dogs….what could possibly go wrong?" Yes there is a potential for problems with any event where any sort of crowd gathers. The key is to properly structure your event to keep all those tails wagging. If your event is going to be all about the dogs, then it is better to keep the distances relatively short with a few options for everyone. Yes, many dogs can run a long way, but think of this as more of a social event than a workout. 5k or 10k: Most sporting breeds will easily run this far on a daily basis if given regular exercise. 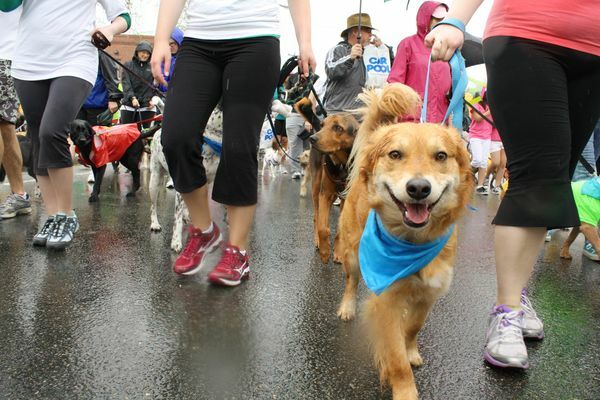 Many runners out there rely on their dogs as their most reliable running partner come rain or shine! Unlike us, they get to use four legs and have these amazing, stretchy tendons that make it look effortless. This distance will give them a chance to show off. 1 mile or 2 mile walk: This is a more universal distance that is safe for less active dogs (or owners). Older dogs may also appreciate having a slightly shorter distance that will still allow them to participate in all the fun. Dogs are to be on a leash at all times:It does not matter how well you think you can control your dog with voice commands, whether in German, with obscure hand signals, or telepathy. Leashes should be no longer than six feet long and owners should maintain close control of their pet at all times. Shorter leashes are preferred and retractable leashes of any length should not be permitted. It is difficult to maintain proper control of a dog with this kind of leash and it's a potential tripping hazard for runners on the course. Any dogs displaying aggressive behavior will be made to leave: This is goes double for the owners. It should be emphasized to participants that they should be comfortable handling their dog in crowds, around many other dogs, and also children. Ideally your pet owners have an understanding of how a well socialized dog should act, but there's always one in every crowd who thinks their dog could do no wrong or that they have never done anything like that before. No more than 2 dogs (or 1 dog) per person. Make sure your waiver very clearly states that owners are 100% liable for the actions of their dogs while participating in your event and in the designated areas of the start/finish area. Also be sure to state that it is up to the sole discretion of race officials to ask a participant to leave the event with their dog at any time and that there will be no refunds in this case. 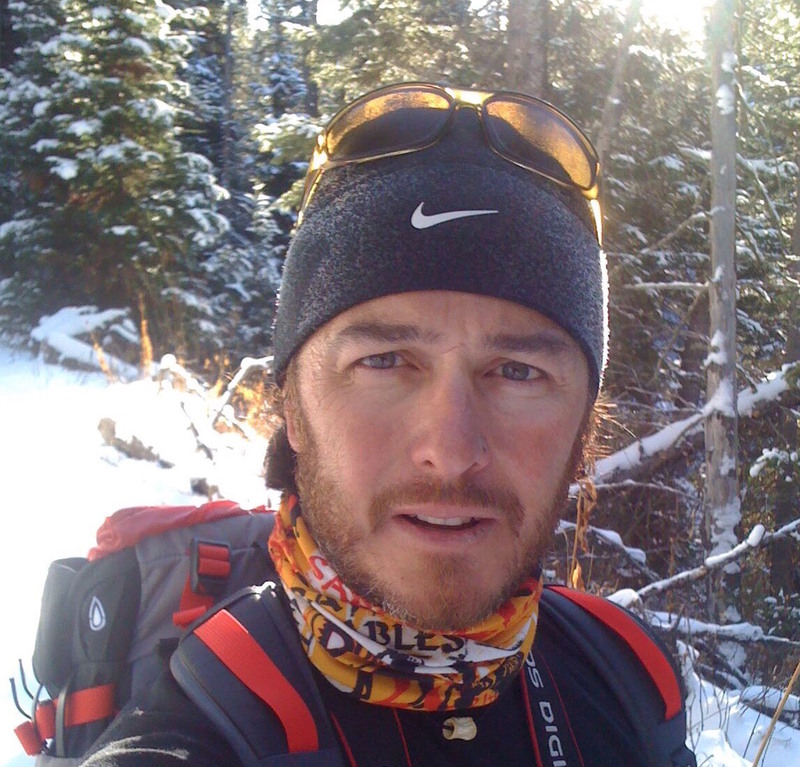 Aid Stations: Have plenty of water on hand. Dogs cannot sweat like humans and can get overheated rather quickly, even on a mildly warm day. 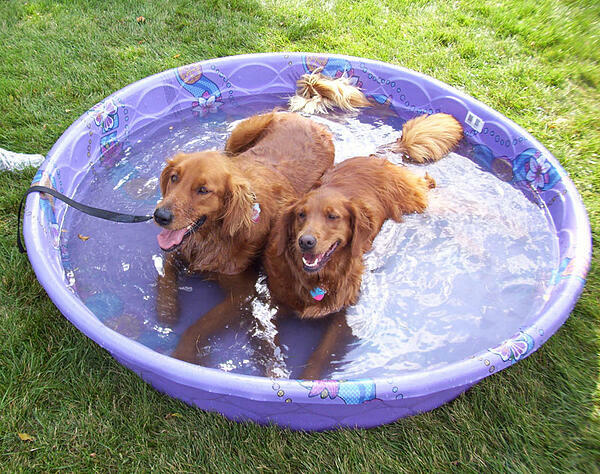 Those cheap plastic wading pools form the discount store are perfect to give the pooches a place to get their bellies in the water to cool off while taking a big sloppy drink. Do not worry about having food on the course for dogs for events of this distance. Medical: See if some local vets, vet techs, or vet students would be willing to volunteer their time and expertise - just in case! Clear the course - Ensure the course is as clear as possible - sweeping debris, glass, or other things that could injure the sensitive pads of the pooches. Poop Happens: This is inevitable. Be clear (and post signs with bags) that dog owners are responsible for cleaning up after their pet. Make an announcement at the start as an additional reminder. Include a set of mutt mitts with the race packet and have extras at the aid stations and other key locations of the course. Stationing some extra trash cans will also help encourage people to toss it in the right place. Dogs love to party! Especially after they have had a bit of exercise and are a bit more relaxed. Wait, this sounds like people we know! Create a festive, dog-friendly setting for people to hang out and socialize with their dogs. Have a few extra wading pools if it is really hot. Dogs (ok, their owners) enjoy swag too. You can have finisher awards such as treat bags, or customized race bandanas that the pups can wear post-race to show off their accomplishment! Did you know....the Guinness World Record For Most Dogs Wearing Bandanas is 813? 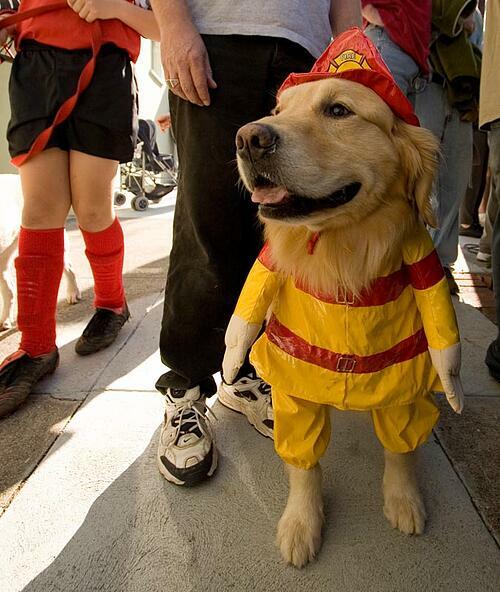 You may find that some dog owners will dress their dogs up in costumes for this event. Turn this into a contest with prizes. Take lots of pictures! Invite local animal rescue organizations to have a part in the event. They can help spread the word of your event and you can perhaps help a few new pets find their furever homes! Whether your event is all about the dogs, or just allowing dogs, these guidelines will help keep those happy tails thumping. Want more dog pictures? Check out some of the dogs of imATHLETE in Lessons from our Dogs (and Cats).